Directions: In a large resealable plastic bag, combine the ketchup, ginger, soy sauce and garlic; add chicken. Seal bag and turn to coat; refrigerate for at least minutes. 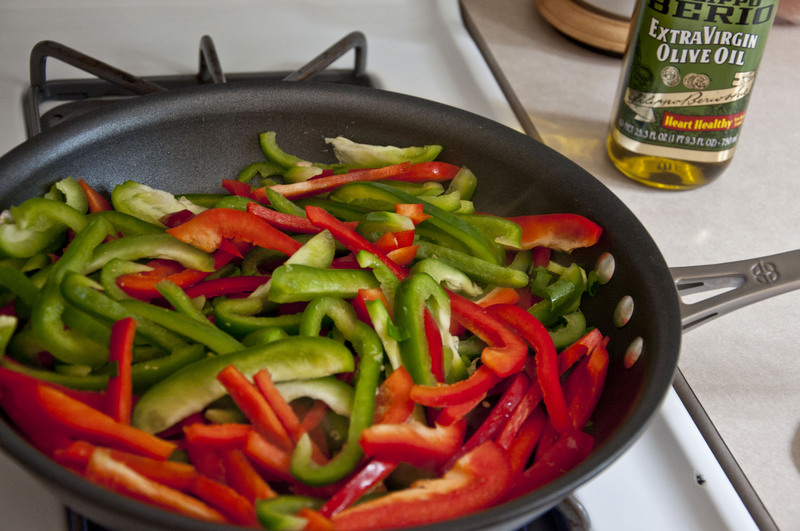 In a large nonstick skillet or wok, stir-fry peppers and onions in 1 teaspoon canola oil and 1 teaspoon sesame oil until crisp-tender. Remove vegetables and keep warm. In the same skillet, stir-fry chicken and marinade in remaining oil until no longer pink. Return vegetables to the pan; heat through. Serve with rice if desired. Yield: 3 servings. Nutritional Analysis: One serving (1 cup chicken mixture, calculated without rice) equals 234 calories, 8 g fat (1 g saturated fat), 66 mg cholesterol, 496 mg sodium, 12 g carbohydrate, 3 g fiber, 28 g protein.